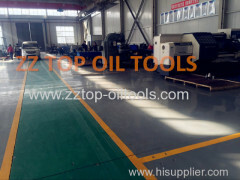 ZZ Top Oil Tools Co.,Ltd, with the professional technical team and international business operation team, is specialized in manufacturing the drill stem testing tools / DST tools & oilfield wellhead equipment, and providing cost-effective oilfield equipment. 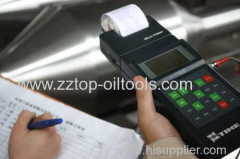 As one group, ZZ TOP provides the clients highly efficient & expertized service as well as more comprehensive products to meet the customers' requirements during the work, and insists on "Traceability, Serialization" foreach tools and related parts. Our tools and equipment are widely used in domestic and aboard including USA,UAE,Iran,Colombia, Brazil,India,Pakistan,Jordan,Saudi Arab,Indonesia,Singapore and so on. 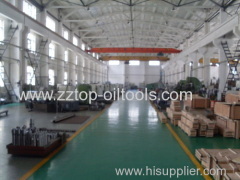 ZZ Top Oil Tools Co.,Ltd would like to cooperate with any clients based on honest and serious business, and will exceed your expectations. 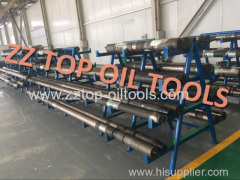 Competitive Advantage: As the manufacturer for the well testing equipment, ZZ TOP has the professional and skillful engineers for the R&D department to design the drill stem testing tools as per the customers' well enviroment and requirements. As the distributor for the other oilfield equipment, ZZ TOP work with large oilfield equipment company as the agent, so ZZ TOP can provide original equipment and parts at the more competitive price.